It is quite rare these days to find popular Cartoons or TV shows without one or multiple conspiracy theories attached, from Friends to The Simpsons to Spongebob. Caillou is no exception. So what is Caillou really about? 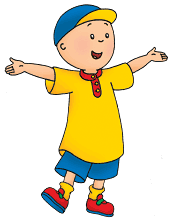 Caillou was a Canadian TV program for children, based on books by Helen Desputeaux. It is focused on the adventures of a 4-year boy named Caillou who lives in a blue house. 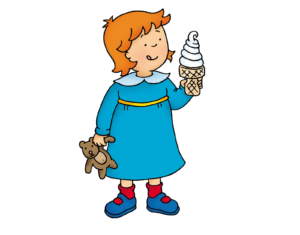 The show is narrated by Caillou’s grandmother who has been an unseen character from 1997 onwards when the show first aired in Canada. Caillou is a French term used to refer to small rocks/pebbles. A viable Caillou Conspiracy Theory? Why does Caillou not have any hair? One of the main Caillou Conspiracy theories is that he is bald because he has cancer. Aware of the fact that he has Cancer and may not live to adulthood he lives through his imagination to imagine the things he would do if he had the chance to be an adult. This explains how he is allowed off on his own and gets away with so much, as his parents are sympathetic to the fact that he has a mortal illness. In the original books, Caillou gets hair as he grows up. Many watchers of the shown have questioned as to why the artist left Caillou bald as he aged, and there has to be an underlying reason. It is factually impossible for a child to become bald naturally before puberty. The sister Rosie, having Red hair, is held by some to be adopted, her parents both brown haired. Not able to bear the possibility of having another child with cancer, they sought adoption. This also accounts for the fact that the whole show is narrated by the grandmother, telling the story to Rosie who is asking who the boy in the picture is. Thus the entire show is a flashback, told in a melancholy voice by the grandparent. The clouds typically used for flashbacks on TV is also used in Caillou. All this is mere speculation. However, there are claims that the original artist of Caillou had a child who died of cancer. If this is true, then this is no longer a Caillou theory but is now firmly in the realm of probability. I was unable to verify this online. However, it stands to reason that if the original artist had a son who passed from cancer, then we can assume that Caillou also had cancer. We have a real life link and an underlying reason as to why Caillou was a bald child which also ties up other loose ends in the program. In other words, it makes sense. This is an actual viable Caillou Conspiracy theory. So much, so that’s, it’s no longer really a Caillou Conspiracy Theory. Just sound logic. That’s not to say that there are not countless Caillou Conspiracy theories that make no sense whatsoever. 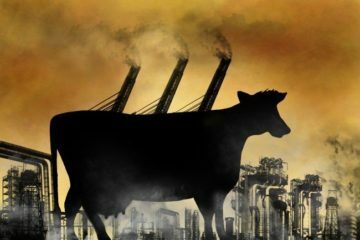 For each Conspiracy theory that may be true, there are dozens that are most obviously false and stem from logical fallacies. And if viewed on their own without having experience in logic they may even make sense on some level. They fill a gap that would otherwise be left unfilled, and human beings like to have everything explained. One such theory is that the story of Caillou is actually taking place within Caillou’s mother’s witness testimony. Apparently, the stories that can be heard on the show are her answers to the questions of the defense. This one appears online in numerous instances. No evidence is cited for this theory. Conspiracy theorists love complexity and intrigue. Another theory is that Caillou not only HAD cancer but had cancer, died and went to purgatory. The show is now centered about Caillou living out the happiest moments in his life. The cloud-like mist is again cited in this theory, this time as evidence that Caillou is in purgatory. The narrator in this instance is not the grandmother of Caillou but is actually the voice of GOD. This goes to show how the same phenomena can be utilized in different settings as evidence to support a fact when there is actually no link between the two. Then there is the classic conspiracy theory. Caillou is, in fact, Satan running around, ruining American Values. Apparently, Caillou is programming children to become whiny, entitled humans who always get what they want. “Evidence” is cited of Caillou’s interactions with his sister and parents as an example that he is the devil in disguise. This is a prime example as to how people can simply filter what they see and make theories which back up their views and beliefs. Why on Earth is Caillou designed particularly to destroy American values, when it was first produced in Canada? Possibly because most individuals believe that the world revolves around them, their country and whatever they hold to be most important. 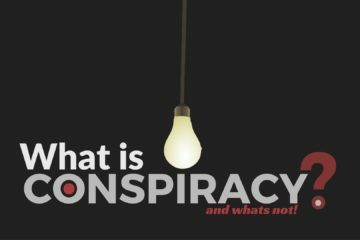 There is always a subjective element in Conspiracy theories, which are most often taken apart when observed with logical scrutiny. A general trend of all conspiracy theories is that they all seek to account for unexplained events. Humans need to have things explained to them, so they can make sense of what they see. If something is unexplained they will invent a theory to fill the unexplained gap, however crazy it may be, in order to maintain a sense of mental security. Artists generally tend to be creative and spontaneous, not rational and structured. 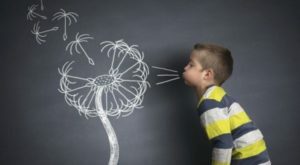 Children often do unexplained things for no apparent reason. While this is totally rejected by those who need certainty, it may just well be that Caillou is bald just for the hell of it. It’s a cartoon show based on the imagination of a 4-year-old child.